I love avocado. LOVE! And I love chicken salad. But what I really love is a great new recipe that will not require me to turn my oven on this summer. The first one I will be trying is the Creamy Avocado Chicken Salad from Cheeky Kitchen. 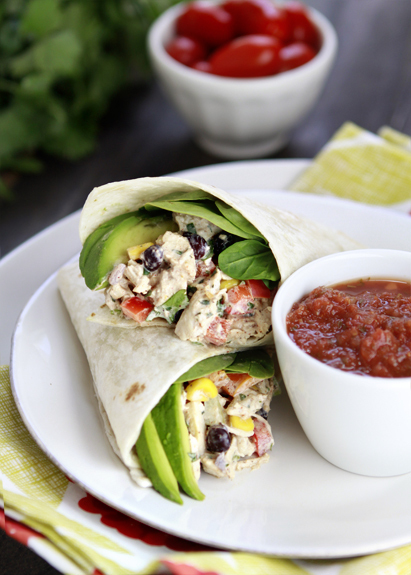 And I can't promise I will even let a day pass before I make my family try the Santa Fe Chicken Salad Wrap from Good Life Eats. 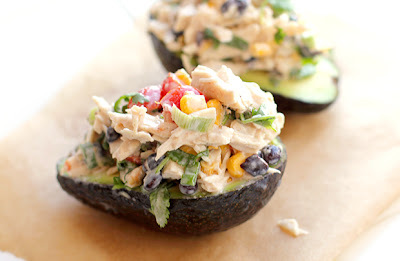 This looks like the yummiest chicken salad ever because of its "bowl." Thanks for sharing this. And why have I never thought to do this? That is EXACTLY what I thought! And there are some delicious looking avocados at the store right now. Just don't scrape the bowl too much! The avocado flesh right near the skin is pretty pungently sour, generally!